According to MJ's doghouse , I need to update my blog. Let's update. Should we try something new and do this in bullet points? *Our next door neighbors (the Pakistani ones) have put their house up for sale. They're selling because they want to buy a larger house. Or maybe it's because I tried to give their kids Skittles on Halloween. We may never know. Anyway, 5 bedroom, 2 bath, 2000 square feet, for $375k. Come on people. It's a STEAL. In the wise, wise words of Mr. Rogers... Please won't you be my neighbor? *A couple of days ago while I was out putting frozen water bottles in the bunnies' cages (it was HOT people), my nose alerted me that there was something dead nearby. Guess what? It was a possum. And this time me and my shovel had NOTHING to do with it. I swear. 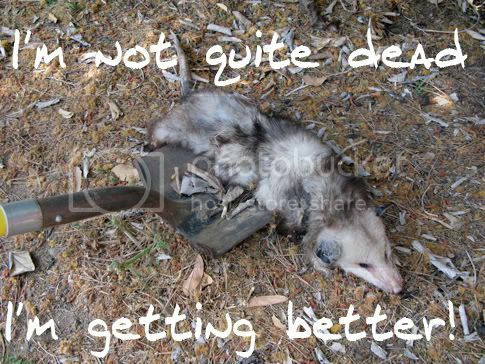 Now I know the "dead thing" is the possum's gig and everything, but I'm pretty sure this one wasn't faking it. Hard to fake the decomposing smell and the flies. Don't believe me? Click Here for a picture. Hey, don't blame me if you looked. I gave you the choice. *Hagrid, the giant bunny is an inside bunny for now. 90 degree weather can be fatal to Flemish Giants and since I don't want to be a slave to the forecast, I've decided to keep him in the guest bathroom for the summer. It's all set up for him with food, water, fresh hay and toys. And while he's not a fan of the litterbox, he DOES do all his business on disposable puppy pads, which is very nice and considerate of him. 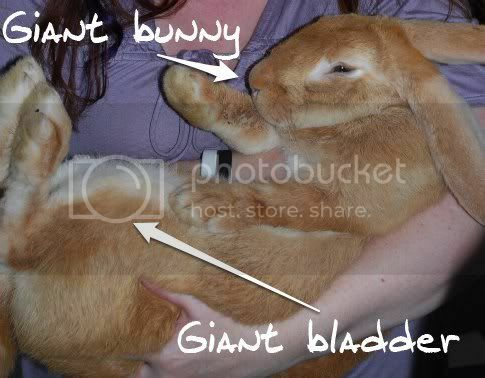 Because as it turns out, giant bunnies have giant bladders. *Jasper the bunny is pregnant and is due to have babies (probably 3 or 4) at the end of next week. (Alice is the daddy) And if she doesn't eat them, I'll take pictures and show you. 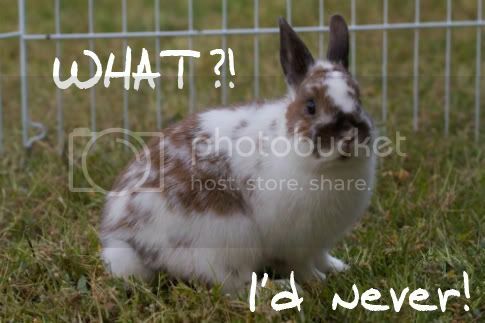 50% of first time bunny mamas kill their first litter of babies. Good thing 50% of first time human mothers don't do that. I could've really missed out on having a big sister. *Remember Emmett? The cat Marshall agreed to get at the beginning of March, on the condition that he be an outside only kitty? Uh, he's still inside. 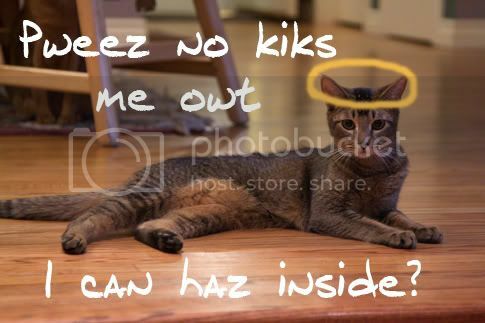 Well, you see... he is just so skiddish, that I'm just sure if we let him outside, he'd have a heart attack if someone started a lawn mower nearby him. So it's for his own good, really. Lucky for us, all five of our inside kitties are buddies... grooming and napping and playing together. *Yesterday I ran out of diapers, so I decided to do some spontaneous continence training with Marlie. Wanna see a picture? Oh yes, I'm totally that kind of mother. 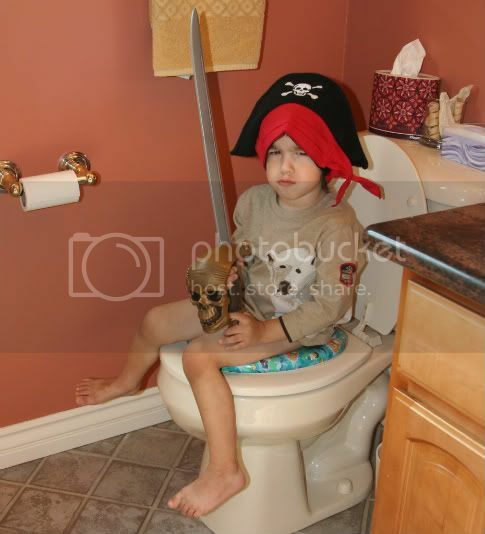 Some of you may even remember the picture of Seamus when he was potty training. LOVE this picture. Marlie and Seamus, I will gladly provide these photos for the slideshows at your rehearsal dinners. Anyway, Marlie is super eager to be a big girl and graduate from the pull-ups to her Little Mermaid underwear. If she goes "peeps" in the toilet, she gets to have a mini-Twilight poster on her bedroom wall. (if only we all could be so lucky) If she goes poo, she gets Skittles. (good thing she's not Muslim) Oh, and I put Dr. Pepper in her sippy cup so the caffeine would help as a diuretic. First time she had soda. She kept saying her nose was burning. Yep, I'm pretty sure I'm in the running for the top spot of Mother Of The Year. Also, with potty training comes the fun questions from older siblings. Seamus: "Marlie, did you point your pee-pee down when you were on the toilet?" Me: "Seamus, remember girls don't have pee-pees." Seamus: "Oh, right. Oh, I get it... that's why girls are more flexible than boys. Because girls don't have pee-pees!" I hope you get some really great neighbors!! Your kids are so darn cute. I hope that when I am old and my mind has left me that I remember all the funny, wonderful things my kids did & said when they were young. Your bunnies and kitties are sweet too. How much does Hagrid weigh? 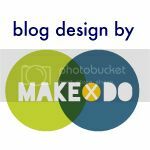 I got an email from a friend today telling me that my blog appears lifeless and needs some CPR. That's awesome! Put in an offer for me... I'll start packing! I wanna be your neighbor!!!! I fear my daily commute to Alabama would be too long, though. Oh, well! It's too bad you aren't flushed in cash, or you could buy up that house. You wouldn't have any neighbors to complain about if you owned the whole 'hood. I'm sure you could use it as a party house or something (in that case, maybe you WOULD have something to complain about). Love the kids' pictures, especially Seamus's face! Zach wasn't buying we needed to move to California, stat. There was an existence of a purple house I could admire... "But there are Giant bunnies! And Julie! And we could easily give directions!" Still wasn't buying an across the country move. Sad times. My own blog is very boring, and more for my own venting, but anyway, I don't think anyone reads it. I was so disappointed that the possum Haven saw ran away while I was there. Marshall was out there with shovel and all. I think if me, Lori and Leigh pool all of our (husband's) resources together we can move next door. Of course, we'd let Marshall have visitation of you every other weekend and Wednesday nights. I'd love to be your next door neighbor. I would so eat any Skittles you offered on Halloween or any other day, for that matter. 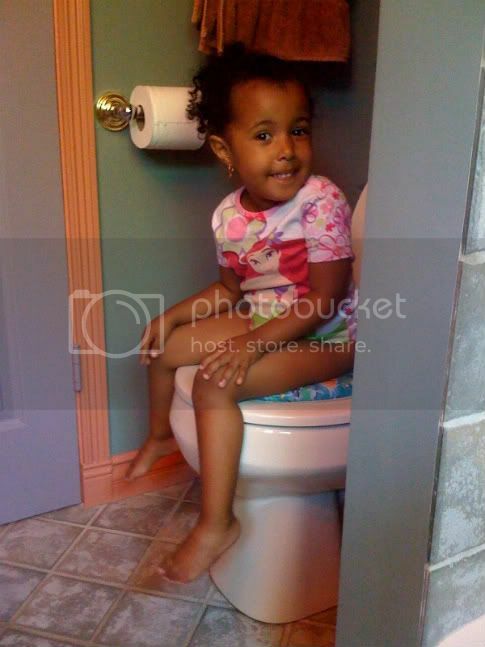 Love the Potty Training Process. Don't miss it. But ah, the photos for Graduation Day Slideshows/Rehearsal Dinner slideshows - I just love those!! I think this was the best update in a long time. I'm sitting at my desk at work giggling and getting funny looks! haha! The other day Andrew (6) said something about me having a p*nis. I said um...no honey, remember? He interjects. OH that's right! Well whaddaya call yours? ...and if you didn't have an older sister, who would've saved your life? 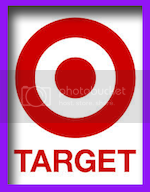 Otherwise, my purple house blog wouldn't exist. Hee hee. You know you want a house full of girls, a possum killing greyhound and a flock of chickens living next door. Deep down. Sorry I missed so much when the tax returns sucked me up. Thinking of you all. I would love to be your neighbor. We would take over the entire neighborhood...or our animals would first. I will be painting my house pink... I have always wanted a pink house but it's not happening unless I move next to you! I have had a lot going on here but I am glad to be back!